I’m excited and just a little nervous to announce that I’ve written my first book - ‘Live Green - 52 steps for a more sustainable life’. It is a guide to living life more thoughtfully. Less buying, more doing, less wanting and more enjoying. 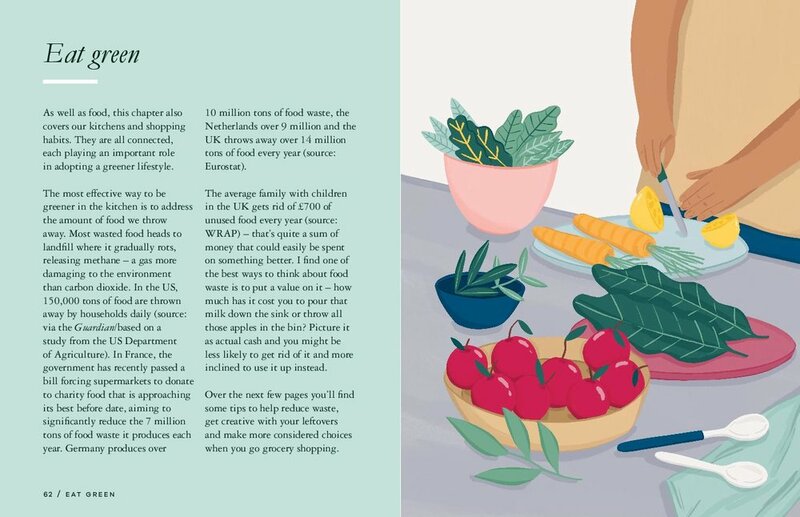 The book is a practical guide of 52 changes - one for each week of the year - you can make to your home and lifestyle to reduce your impact on the environment. 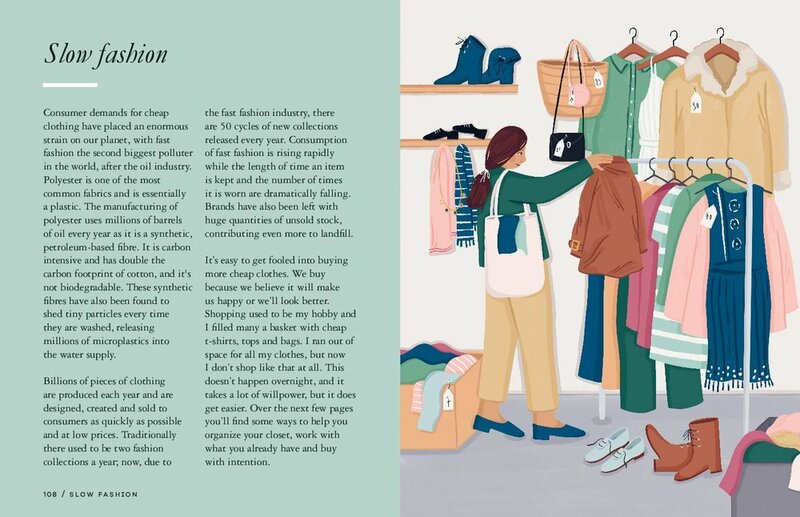 Divided into six chapters - Green Home & Garden, Eco-Household, Eat Green, Slow Fashion, Natural Beauty and Simple Christmas, it is all about making small, sustainable changes over the course of a year. It’s packed full of ideas for making your own natural cleaning products, tips for decluttering your home and wardrobe, growing your own, composting, reducing plastic, choosing vintage homewares, tackling food waste, seasonal eating, shopping mindfully, creating a natural beauty routine and ways to enjoy a simpler Christmas. The book is beautifully illustrated throughout by Amelia Flower who completely captured the essence of Little Birdie including my stripy top and basket collection! I’ve been writing the book since the beginning of the year and I’ve loved every single minute of it. As an avid reader and ex-bookseller, it has always been my dream to be an author and I feel very lucky to have been given the opportunity. The editorial team at Quadrille are wonderful to work with, completely supportive and enthusiastic, so the whole process has been amazing. And I know that I wouldn’t be in this position if it wasn’t for all of you who read this blog, so thank you, I’m extremely grateful. Below you will find some sample pages from the book, so pop the kettle on and enjoy a sneak peek of ‘Live Green’. I do hope you love it as much as I do. The book is published by Quadrille on 10 January 2019 and if you’d like to, you can pre-order your copy here.